I swear I’m working on a few new rants, including an upcoming rant series called W.I.S.S. (which will be explained and started in a few days!) among other things. 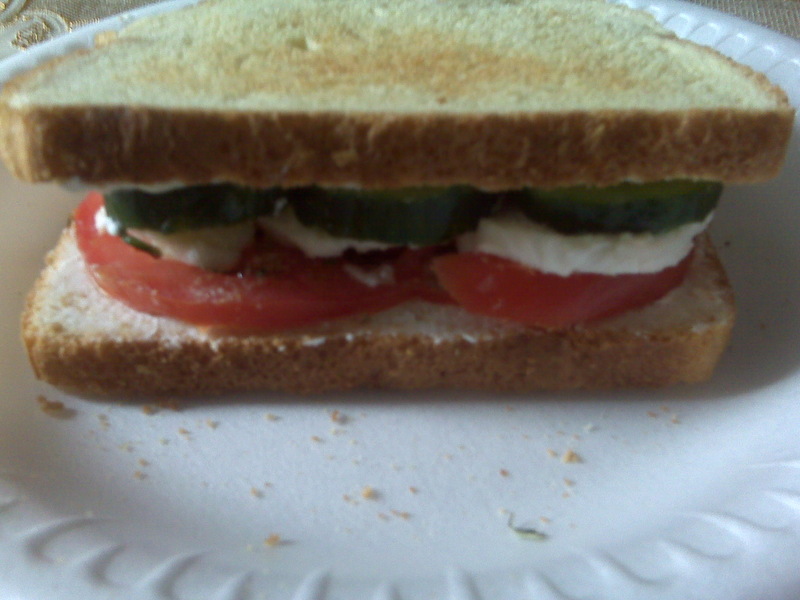 In the meantime, I know I had promised to post some of my food creations from time to time. 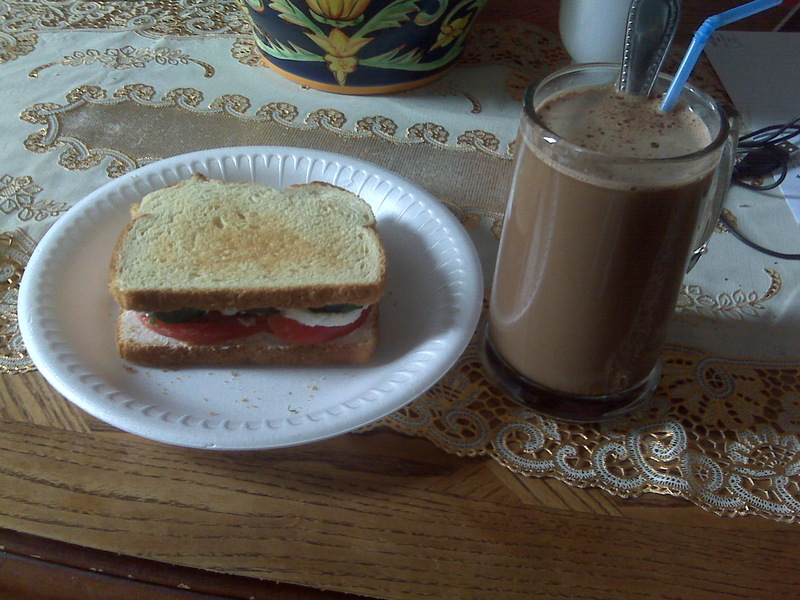 Today, the healthiest lunch I’ve ever had! 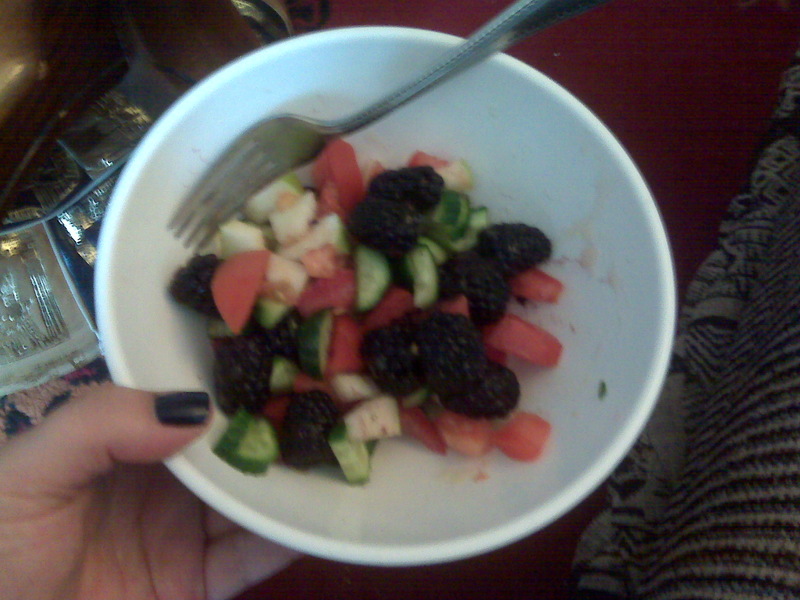 A makeshift salad consisting of blackberries, granny smith apples, tomatoes (I see it as a fruit!) and small cucumbers with a dash of apple cider and honey! Seriously, what is wrong with me?! I don’t do healthy but it tastes so good! !